It seems like every day there is a new Podcast launching and another one dying. 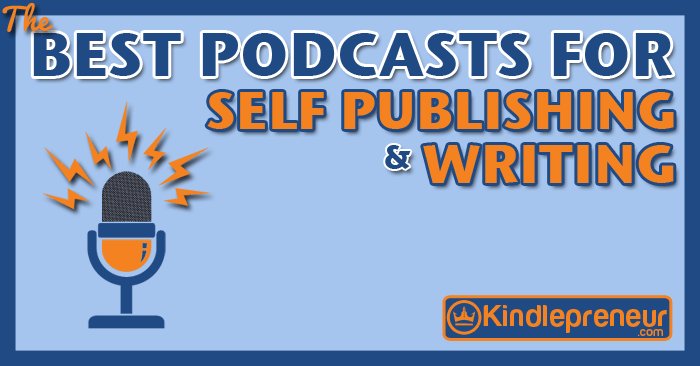 So, this begs to ask: What are the best podcasts for writers and self-publishers? I love listening to podcasts because they are unobtrusive and can fit into daily activities like driving to work, going for a walk, or just waiting in line. Through podcasts, I can digest information, learn tactics, and just grow, while not having to ‘fit’ it into my already busy life. So, what makes a good podcast and which ones are worth your time? Well, here’s a list of the best ones that we think you’ll really enjoy! PS: If you’ve never setup to listen to a podcast on your smartphone before, or don’t know how, here’s a great and simple guide to help you get setup lickity split. There really are a lot of self publisher and writer podcasts out there with different angles, themes, and even styles. The podcast must have 50+ shows – proves it stable enough and worked out its real identity and niche in the market. It must be broadcasted consistently – there are many podcasts where the creator fits in an episode when they can. Nothing wrong with that. Life is crazy, we all know that. But consistency also shows priority and this usually translates into a better experience. If you know of a great podcast that isn’t listed below, go ahead and add a comment to this article and I’ll check it out and update if necessary. I could not be more psyched to bring you The Book Marketing Show podcast. Every week I will teach one of the best book marketing sales tactics then bring on a top-notch guest who has first-hand experience selling books with that strategy. I created this show for authors who don’t want the fluff, but want an easy to follow deep dive into each book sales tactic that is proven to get results. 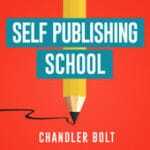 The Self-Publishing School podcast by Chandler Bolt is relatively new but enjoyed by many. It covers writing a book, launching a book, and using your book to grow a six-figure income. Pat Flynn, Gary Vaynerchuk, Joanna Penn, Hal Elrod, and Jeff Walker are just a few of the incredible guests who share their strategies for getting on the NYT and WSJ Bestseller lists, building a tribe of fans, and how to use books to scale businesses of all kinds. The Creative Penn by Joanna Penn has been sharing a mixture of business-focused and writing focused topics since 2015. Special guests, such as Ron Vitale, are regularly featured to bring their specialist wisdom to the show. The show features hot topics, such as adult coloring books, as well as evergreen advice, like outlining for genre fiction. 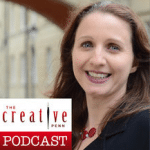 Listen to my interview with Joanna about how to identify your book sales problem and more importantly, how to fix it. 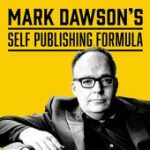 Self-Publishing Formula is hosted by Mark Dawson (who you may know from his awesome Facebook Ads Course) and former BBC journalist James Blatch. It takes in-depth looks at fascinating and useful aspects of self-publishing, such as book launches and how to test out a book idea before writing. They recently added interesting bonus episodes that discloses montly income reports, including how much Mark spent on advertising and how much revenue he made. 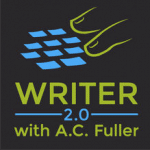 Writer 2.0 Podcast by acclaimed writer AC Fuller has well over 100 episodes and has been going strong since 2014. AC Fuller has previously taught at NYU and is one of the most reputable names in the industry. Episodes feature a mixture of actionable ideas and interviews with great guests, like myself, from the spectrum of the self-publishing world. 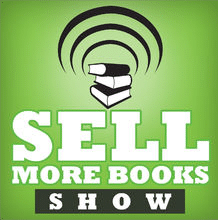 The Sell More Books Show, hosted by Jim Kukral and Bryan Cohen, does exactly as its title promises – helps you to sell more books! This is done by offering tried and tested tips related to aspects of book marketing, such as email marketing, building lists, and promoting your book on social media platforms. Publishing Profits Podcast is hosted by Tom Corson-Knowles and features authority marketers on the show to discuss their favorite tactics and what is working in the book marketing world. Listen to my interview where I talk about using SEO to sell more books on Amazon. 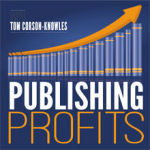 Self-Publishing Podcast has delivered over 200 episodes of quality, business-focused information for self-publishers. Known names from the self-publishing world, such as Derek Murphy, regularly contribute their collected wisdom to the show. Recent episodes have covered social media tactics, how and when to end a series, and growing your email list. 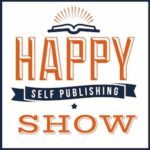 Happy Self Publishing Show covers questions related to writing, publishing, and marketing your books. 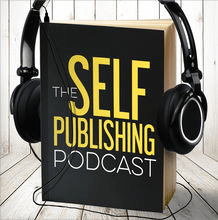 The guests are successful authors who cover topics such as the best type of lead magnets for books and how to maintain book sales for months after a launch. Check out my interview about choosing the right kindle keywords to improve your book’s searchability. Each episode gets straight to the point and is less than 20 minutes. Grammar Girl is a long-running podcast packed full of tips for writers who like to write well. By listening to Grammar Girl, you will learn advanced writing tips about even the most obscure aspects of the English language. A sure way to improve your writing. Read To Lead is the perfect podcast if you share the belief that books are one of the best ways to get ahead in your leadership and business efforts. 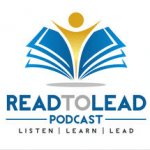 Read To Lead features regular interviews with some of the top non-fiction writers and grills them on their perspective regarding business and leadership. 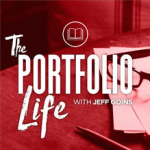 The Portfolio Life is hosted by Jeff Goins and features some of the most useful and fascinating insights into the creative process and creative work around. Some of the topics included on recent episodes have been Facebook Live for Writers, Overcoming The Fear of Rejection, and The Seven Stages Of Finding Your Calling. This shows the mix between the inner aspects of writing, and the more practical aspects, which are equally featured on The Portfolio Life. 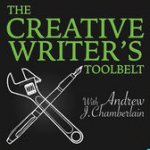 The Creative Writer’s Toolbelt is specifically aimed at creative writers. It is a mixture of actionable writing ideas alongside interviews with writers speaking about aspects of their craft. The 100+ episodes contain everything from character development to story theory. 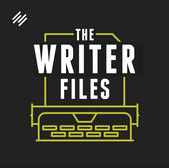 If you want to write for children, this is your perfect podcast. Hosted by the charismatic Katie Davis, director of the Institute of Children’s Literature, Writing for Children features advice on everything from creating characters to writing non-fiction for kids. 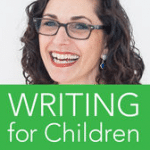 Katie Davis is a bestselling children’s author, so her podcast is a resource you can trust, as well as enjoy. The Writer Files is perfect for those of you who like to understand the habits and processes of different writers in detail. Each episode features Kelton Reid looking at a different type of writer. The podcast has included everything from screenwriters to thriller writers and poets so far. 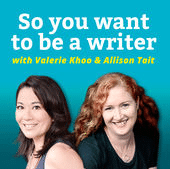 So You Want To Be A Writer is an Australian based writing podcast which features both an author and a journalist as hosts. 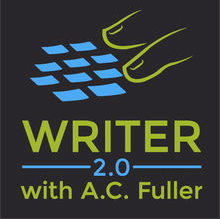 Episodes contain a mixture of news and trends within the world of writing and actionable tips on various aspects of the craft, such as advice on plotting, and how to write for specific genres. In book marketing and writing, we sometimes need to supplement our focused learning with something a little broader in scope. After all, a good idea is a good idea, and you never know what you’ll be able to apply to your self-publishing efforts. The following podcasts are awesome sources of inspiration and ideas. 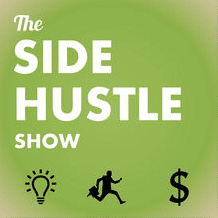 The Side Hustle Show is brought to you by Nick Loper of Side Hustle Nation. It covers a wide variety of ways to make money online such as blogging, content creation, and consulting. Here’s my interview with Nick who has been a good friend over the years. 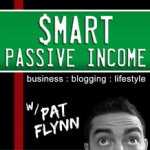 Pat Flynn is a name you’re hopefully familiar with – if not, his SPI podcast is a great place to start. Episodes cover actionable tips on making money, as well as more philosophical topics like dealing with rejection. Pat also hosts a podcast called Ask Pat where he answers one reader’s online business question per episode. It’s a dream of mine to one day be on Pat’s show. 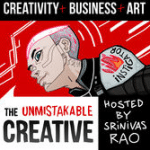 If you are at all interested in the creative process, and as a book marketer you definitely should be, then you will want to tune into The Unmistakable Creative regularly. It features an inimitable look at the creative process, having featured heavyweight guests such as Tim Ferriss and Seth Godin. Recent episodes have dealt with topics such as the ego and self-expression. The Tony Robbins podcast features a mixture of the motivational tactics you expect from Tony Robbins alongside a range of actionable business advice. Robbins interviews guests with a proven track record of success to extract their secrets. 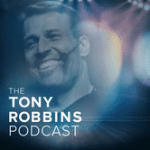 Recent episodes have looked at the psychology of success and how to master the process of sales. You’ve almost certainly come across TED talks in their video format, either on YouTube, through social media or directly on the TED Talks website. However, they are also available as an audio podcast which you can download and tune into on the go. 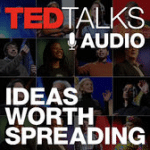 This is one of the best ways to enjoy the intriguing ideas of TED Talks without having to focus on a video lecture. 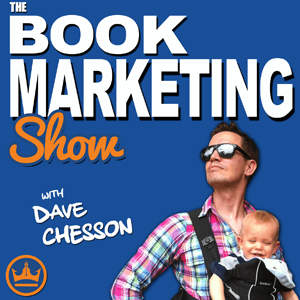 So, What’s Your Favorite Book Marketing Podcast? As you can see, there are lots of different shows on the market. Some that give explicit tactics, while others just focus on interviews and the market in general. But regardless of what you’re looking for, there are all kinds out there to fit just about anyone’s particular needs or level. If I missed any above that you think should be mentioned, go ahead and drop it in the comments below and we’ll check it out. And if you’re a fan of the tactics I share on the Kindlepreneur blog, you’ll love the Book Marketing Show podcast. So be sure to subscribe to my podcast so you get the best book marketing techniques instantly and you can learn on the go.